Local Public Adjuster NC ready now! 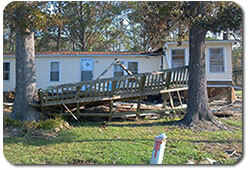 NC Property Damage Claims - Get FAIR Value! We are local Public Insurance Claims Adjusters in NC on your side to quickly maximize your North Carolina homeowners insurance claim. American Property Loss Public Insurance Claims Adjusters offers North Carolina Property Damage Claims Services for North Carolina homeowners insurance claims and commercial property damage claims. We also work with and provide insurance claims consultation services for contractors or other similar parties that need thorough and accurate estimates for their property rebuilding and reconstruction after a property loss. If you are a North Carolina property owner suffering through the aftermath of major NC storm damage, such as Hurricane Irene or recent NC tornadoes, or other catastrophic damage such as fire damage, hurricane damage, tornado damage, water damage, hail damage, wind damage, or some other form of devastation, you shouldn’t have to suffer through a homeowners insurance claim nightmare too. Hiring locally-owned and locally-operated American Property Loss Public Insurance Claims Adjuster services makes your life easier! The North Carolina property damage claims process involves extensive paperwork, accounting, legal, construction, insurance jargon plus in-depth knowledge of repairing building structures and code compliance. Proving your property damage losses is YOUR job, not the insurance company’s job, so make sure that you have a licensed North Carolina Public Insurance Adjuster on your side because the last thing you need at a difficult time is more aggravation. We take the burden of filing North Carolina insurance claims papers off of your shoulders and handle all of the details of a North Carolina Homeowners Insurance Claim. American Property Loss Public Claims Adjuster treats your insurance claim with extreme care, searching and claiming every possible property loss so that you receive the maximum compensation. You wouldn’t think to defend yourself in a courtroom without the benefit of a lawyer, so why wouldn’t you contact an expert NC Public Insurance Adjuster to defend your NC homeowners insurance claim? Are You Ready For Hurricane Florence? We just want to say thank you! After we had gotten what we thought was a low damage estimate for the loss of our home due to fire last year, we secured the services of American Property Loss public adjusters. They were able to find many things that had been left off the insurance company’s estimate. We were able to rebuild without skimping or having to leave rooms unfinished. We have our house back again! Thank you! NC Public Insurance Claims Adjuster Services are there! Find out how American Property Loss Public Insurance Adjusters in NC will maximize your property damage claim for a higher settlement in less time. Remember, we represent you, not the insurance company. Get Insurance Claim Answers Now! NC Fire Damage Insurance Claim? Call us for fast professional service!